That’s because the ACA included a mandate for most insurance companies to fully cover FDA-approved contraception – regardless of method or price. 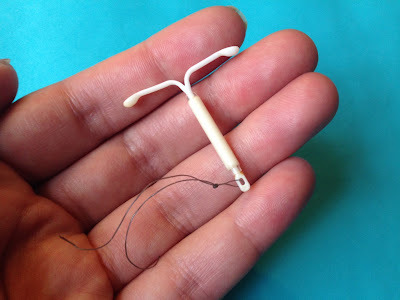 While there is a religious exemption for insurance provided by churches and closely-held companies, millions of insured women in the U.S. have been getting their contraception without a co-pay for several years now. In 2013 alone, women saved more than $1.4 billion dollars on out-of-pocket costs because of the mandate. They’ve also taken advantage of the coverage by seeking out pricier but more effective methods like IUDs. No surprise there. Women predicted a rollback on their contraceptive access and abortion rights after the election and have been seeking long-acting reversible contraception (LARC) methods – many of which can outlast a presidency - in record numbers. What is surprising is that the Administration justified expanding the exemption by questioning whether contraception prevents unintended pregnancies at all. Apparently, key members of the Administration missed that day of class where many of us learned that contraception works. And the advice from their doctors. Not to mention the last 57 years of women’s progress. Alternative Fact: Increased usage of prescription contraception hasn’t decreased the rates of unintended pregnancy – so we shouldn’t require insurers to cover contraception. Reality: Unsurprisingly, contraception does what it’s supposed to, and its increased use has been repeatedly linked to decreases in unintended pregnancy rates since the birth control pill was invented. In fact, a recent increase in the use of prescription contraception between 2008 and 2012 was associated with the lowest unintended pregnancy rate in 30 years. Alternative Fact: Increasing access to prescription contraception doesn’t mean that women actually use contraception more – so it’s fine to reduce access. Reality: Actually, a wide body of research shows that women whose insurance covers contraception are more likely to use prescription contraception, while women without that coverage rely more on less effective methods like condoms and are more likely to have unintended pregnancies. Alternative Fact: Increased access to prescription contraception increases the teen birth rate – so we should not trust contraception at all. Reality: History clearly shows that as the birth control pill became more accessible throughout the 1960s, 70s, and 80s, teen birth rates across the U.S. decreased. Modern research shows that same effect: In the CHOICE study that took place between 2007 and 2011, St. Louis teenagers at high risk for unintended pregnancy were given their choice of any prescription contraceptive at no cost – and they experienced abortion and teen birth at less than half of the national and regional rates. It’s a scientific fact that contraception works and that better insurance coverage helps prevent unintended pregnancies. Decreasing contraception access by weakening the ACA’s birth control mandate can only result in more unintended pregnancies, more unnecessary abortions, and higher healthcare costs. That’s something that we can all agree we don’t want – regardless of religious or moral convictions. Nina Dutta is an advocate for women’s health and reproductive rights and a former Obstetrics & Gynecology researcher. She is a rising 2L at the University of Michigan Law School and is currently a Legal Intern for Legal Voice.